February 14, 2019, Bride, Kimberly Modrell, after her wedding at Marty Leonard Community Chapel, said to Laura: "It was perfect!" February 14, 2019, Rev. Frank Deleo expressed to Laura, after the wedding they worked on at Marty Leonard Chapel in Fort Worth, Texas: "I love working with you!" He also complimented Laura's playing of "Clair de Lune," by Debussy. "That was absolutely gorgeous." December 6, 2018, Jo Britt, Membership/Marketing Director for IEC expressed to Laura after their Christmas Party at The Whiskey Ranch in Fort Worth: "I liked your selection of music." Marcie also thought Laura's program of Christmas Music was "wonderful; great." At the close of the night Marcie asked Laura if she would like to come back next year. And, of course, Laura said yes. October 12, 2018, After last night's performance for Supreme Lending's Red Carpet Appreciation Event for area Realtors, Nicole Serrano, Realtor for Century 21 Judge Fite Company, called Laura and praised her for the "amazing" music that Laura played. For this Corporate Event in Dallas Laura mixed many genres: Classical, Folk, Broadway/Movie Hits, Classic Rock, Alternative Rock, Popular Standards, Contemporary, Pop, Jazz, New Age, and World Music. April 30, 2018, Nancy King, Managing Director of King of Fame Entertainment, Dallas, Texas expressed thanks to Laura for a "great performance and professionalism." Laura played a 2 and 1/2 hour land action corporate event in Morgan Mill, Texas near Stephenville, Texas. Genres were a mix of Jazz Standards, Classic Rock, R&B, Movie Hits, Country, Folk, Pop, Contemporary, New Age, World Music, and Broadway Hits. March 10, 2018, In a personal note to Laura, Jonell Shelton, bride's mother wrote: "You did a beautiful job! Thank you for everything!" Laura played her daughter's wedding ceremony and cocktail hour at the beautiful Hotel Hilton, Southlake, Texas. During the cocktail hour, Laura entertained with Italian, Spanish, and other World Music. July 22, 2017, Greg Brooks, responding to Laura's music for his Mother's Memorial Service at Marty Leonard Community Chapel: "It was Wonderful." His wife, Mrs. Brooks, also complimented how "beautiful," the music was for the Memorial. Laura mixed Classical with Religious Music. April 8, 2017, Pastor John, and Sue, Mother of the Bride, had many compliments for Laura's performance at this wedding ceremony held at Marty Leonard Community Chapel in Fort Worth, Texas. Pastor John, "You were fantastic!" Sue, Mother of the Bride, "You were fabulous!" Pastor John also remarked to Laura's husband, T.J. that "she really knows how to get things done." This was after the rehearsal on the 7th of April. December 15, 2016, Matthew Paul, Event Manager for The Mosaic, Dallas, Texas expressed to Laura: "I received so many compliments on your music." Laura played Christmas music for their Holiday Extravaganza Party. August 28, 2016, Katelyn Powers, coordinator for Darcy's wedding at Las Colinas Country Club, Irving, Texas: "You do a wonderful job!" June 25, 2016, Wedding coordinator, Theresa Maddox, after a wedding at the Historic Downtown YWCA in Fort Worth, Texas spoke to Laura: "You did a wonderful job." January 30, 2016, Andrea Wilson, Assistant to Attorney John McShane, expressed to Laura: "John said you did an amazing job for them, and you performed far beyond expectations." This surprise birthday party was held in Dallas, Texas. December 4, 2015, "You were fantastic!" Brad Reitinger, Office Manager for Freedom Title at their Corporate Christmas Party in Highland Village, Texas. October 15, 2015, Bride, Saidy, referring to Laura's music at her Wedding Dinner at the Aristide Event Center in Mansfield, Texas: "We just loved it!" Laura played a mix of Classical, Classic Spanish Music, and Walt Disney Hits. May 16, 2015, In a personal note to Laura, Abby Peterson, bride's mother, expressed the following: "It was so much fun to put together the song playlist and vary each song with which it was played (etc. strings, piano, etc.)" With her daughter being long distance, Abby had chosen the songs for Amanda's wedding in a complimentary consultation with Laura. This beautiful ceremony was held at the Las Colinas Country Club, Irving, Texas. May 1, 2015, Event Planner, Cheryl Allgood, for the Ruthe Jackson Center in Grand Praire, Texas told Laura: "You were wonderful to work with!" March 7, 2015, Groom, David Williams, after his wedding at the Wildwood Inn in Denton, Texas. "The music was wonderful!" This was an outdoor wedding, and the third wedding Laura has played at this lovely venue. February 13, 2015, During a rehearsal for the wedding scheduled for Valentine's Day, Pastor Taylor of St. John Missionary Baptist Church in Euless, Texas exclaimed to Laura: "You are an excellent musician." December 13, 2014, At their member Holiday Party/Dinner in the lounge at the Trophy Club, Trophy, Texas, Tyler, staff member complimented Laura's music for the night: "It was mellow, relaxed, and everyone had a good time." December 5, 2014, "You were awesome!" Bride, Kasey Conroy-Meuth, after her wedding at the beautiful Downtown YWCA, Fort Worth, Texas. Music for this lovely winter wedding consisted of Broadway/Movie Hits, Irish Hymns, and other wonderful Contemporary Religious Songs. November 18, 2014, Audean Ross, organizer for the Pre-Holiday Social Event for HOA, talked to Laura at the close of their 2 hour event with a compliment of: "You were fabulous!" Laura mixed Christmas Music with many other genres to create a very interesting and varied program of music. This lovely evening was held at the Trophy Club in Trophy, Texas. September 15, 2014, Bride, Jenny Noymany, writing to Laura: "Your music was beautiful and you were such a pleasure!" Jenny's wedding ceremony was held on September 6, 2014 at the Hurst Conference Center, Hurst, Texas. September 2, 2014, Natalie Hargrove wrote to Laura: "You were amazing and we appreciate everything you did to make our wedding beautiful." Laura played her reception at First Baptist Church of Dallas on August 16, 2014. August 16, 2014, Following her reception at The First Baptist Church of Dallas, Bride, Natalie Hargrove expressed to Laura: "You were wonderful! We enjoyed your music so much." Laura played this 3 hour reception with mixed genres of music including: Classical, Broadway/Movie Hits, Classic Rock, Jazz, Alternative Rock, Country, Folk, Contemporary, Pop, and Religious music. August 9, 2014, "Awesome." "You guys are the best!" This was Aaron Francis expressing his delight over Laura's music for his surprise marriage proposal party at the Warwick Melrose in Dallas, Texas. Laura's husband, T.J. also sang "La Vie En Rose" for this special private event. June 14, 2014, On the day of her son's wedding at the beautiful Marty Leonard Community Chapel in Fort Worth, Texas, Tammy Brown spoke to Laura: "I said during rehearsal last night, she is incredible!" May 30, 2014, Tyler Ruffcorn, Community Manager, for Encore 6162 in Dallas, Texas expressed to Laura: "You were phenomenal!" Laura had just completed playing Encore's 3 hour grand opening. April 25, 2014, Jerry Jones, Secretary for the Men's Club, at St. Vincent de Paul Catholic Church in Arlington, Texas told Laura that "the music is in our ear. We can hear it...Wow, and at the same time....we can talk/converse and hear one another. I am getting so many positive comments from everyone." February 18, 2014, "After working with Laura Cummings at a wedding, I would like to give her my endorsement---professionally and personally." Craig Claybrook, Minister for Megan's recent wedding ceremony at the Lebanon Baptist Church, located in the Frisco Heritage Center, Frisco, Texas. February 16, 2014, In a message to Laura, Brenda, Event's Coordinator for the Frisco Heritage Center, Frisco, Texas expressed this to Laura: "The piano music for Greg and Megan's wedding was beautiful. You provide not only the music, but wonderful guidance, coordination, and presentation. You looked beautiful. I am looking forward to another event with you soon." February 15, 2014, "Your music was so wonderful. It just made the wedding." Groom, Greg's Mother at the Lebanon Baptist Church located in the Frisco Heritage Center, Frisco, Texas. December 28, 2013, "I had heard that you were very professional. It was excellent." Bride, Lindsey's Mother. This December wedding was held at the lovely Marty Leonard Community Chapel in Fort Worth, Texas. December 20, 2013, After his wedding at Marty Leonard Community Chapel in Fort Worth, Texas, Nicholas Aievoli, the groom, complimented Laura's music with "Perfect!" "Awesome!" and "Your music just made the day." December 17, 2013, "It was perfect!" Laurie Garner, Career Services Advisor for The Art Institute of Fort Worth, responding to Laura's playing their Commencement Ceremony held at the beautiful Ridglea Country Club. Laurie also mentioned to Laura that: "You have inspired me." October 12, 2013, Morris, owner of Ruggeri's Italian Restaurant, in Colleyville, Texas, complimented Laura's playing: "Beautiful! Beautiful!" "You are the best!" October 5, 2013, Following a wedding ceremony at the Adolphus Hotel in Dallas,Texas Norm Gericke expressed to Laura: "It was wonderful!" October 5, 2013, During the cocktail hour following a wedding ceremony at the beautiful Adolphus Hotel in Dallas, Texas, Norm Gericke told Laura: "Amazing!" Following the cocktail hour Norm also expressed that"one of the reasons why I hired you was all the reviews you have; another reason was your repertoire." 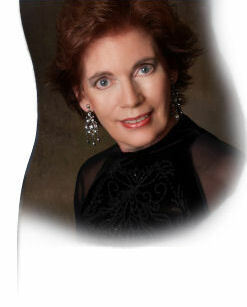 Laura has over 400 pieces of music in her repertoire spanning 9 decades and 18 different genres. September 21, 2013, At the very peak of her private birthday party in Fort Worth, Texas, Susan W. exclaimed: "You are doing good; we are just loving it." Genres for this two hour party included: Classical, Jazz, Ragtime, Broadway Hits, Country, Disney Hits, R&B, Alternative Rock, Popular Standards, Contemporary, Pop, and Classic Rock. September 8, 2013, Dr. Vince Baugher, Officiant for Mandy Haghiri's marriage ceremony at the Ashton Gardens in Corinth, Texas, expressed his pleasure at hearing Laura play live music: "It set just the right tone, and added so much to the event." August 3, 2013, "Everyone said that the Prelude Music was beautiful!" Tiffany Mendez, bride's sister and Maid of Honor. Her sister, Christina's wedding was held at the beautiful Northeast Wedding Chapel in Hurst, Texas. August 3, 2013, "You did a great job!" Both Luis and Elizabeth Mendez, parents of the bride, expressed this to Laura after their daughter, Christina's wedding ceremony at Northeast Wedding Chapel located in Hurst, Texas. August 3, 2013, Mrs. Wells, Pastor Jarrod's wife told Laura after the lovely wedding ceremony at Northeast Wedding Chapel in Hurst, Texas that "you played all my favorite songs; "The Notebook," etc." " We had many of the songs you played at our wedding." July 28, 2013, Veronica, staff member at the Historic YWCA in downtown Ft. Worth, Texas: "It was beautiful!" She was responding to Laura's music for a wedding ceremony. July 7, 2013, Stephanie, Amanda Ruthardt's Mom, commented to Laura after her daughter's wedding at Marty Leonard Community Chapel in Fort Worth, Texas: "The strings were just perfect!" The night before at rehearsal Laura had suggested using Strings in the background with Piano in the foreground for the Processional, "Canon in D." This was a change from using only the Piano sound. Everyone loved the Strings in the background. July 7, 2013, "Your music was just beautiful!" Photographer, Shelley Foster, at Marty Leonard Community Chapel for Amanda Ruthardt's wedding. June 8, 2013, "It was Wonderful!" Bride, Kaci Kucker expressing her joy about Laura's music for her outdoor wedding at The Milestone, Denton, Texas. May 10, 2013, Following rehearsal for his wedding, Groom, Federico, spoke to Laura saying: "Your music was passionate!" The wedding ceremony is scheduled for May 11th at the lovely Marty Leonard Community Chapel in Fort Worth, Texas. April 20, 2013, "It was perfect!" This was the message to Laura from the Groom, Mark. Laura had just played his wedding ceremony at the beautiful Dallas Arboretum, Dallas, Texas. March 25, 2013, Gail Wittenberg wrote to Laura thanking her for the pictures Laura sent of her Mother's Birthday Reception held at Colonial Country Club, Fort Worth, Texas on March 17, 2013. Gail said: "We really enjoyed having you there. The party was lovely, and the music really added to the event." March 17, 2013, At the close of her Mother's Birthday Reception at Colonial Country Club in Fort Worth, Texas, Gail Wittenberg expressed to Laura: "The music became part of the background; it was just perfect." March 9, 2013, Arturo Castillo expressed to Laura that his grandmother thought Laura's music was "BEAUTIFUL!" This cocktail hour was held at the Dallas Marriott City Center in downtown Dallas. The event was a Quinceanera for Arturo's neice. Laura combined Spanish music with Broadway/Movie Hits, Light Jazz, Contemporary, Classical, and Country. March 2, 2013, Audrea Armstrong complimented Laura's music after playing a 2 hour wedding reception for her niece, Sara, with "your music was beautiful. It was beautiful all afternoon long. Wonderful! "This vintage themed reception was held at The University Baptist Church, Fort Worth, Texas. March 2, 2013, Bill Armstrong, after his grand daughter's wedding reception at The University Baptist Church, in Fort Worth, Texas spoke to Laura: "You did a great job." February 17, 2013, Co-ordinator, Erica Jobe, for Belltower Chapel and Garden, complimented Laura after playing a wedding there with one word: "PERFECT!" February 16, 2013, Following a beautiful wedding ceremony at Southfork Ranch in Parker, Texas, Reverend Bob spoke to Laura: "You are a real professional." February 1, 2013, Groom, Mike Roberts, wrote to Laura: "Amy has been extremely impressed and is so looking forward to meeting you and hearing you play." Laura is scheduled to play their wedding ceremony on February 16, 2013 at Southfork Ranch in Parker, Texas. All the communication and planning of the music has been conducted through email. January 31, 2013, In planning her wedding ceremony through email, Bride, Amy, wrote to Laura saying: "I'm very excited you are doing the ceremony. I love your attention to detail!" Amy's wedding is scheduled for February 16, 2013 at Southfork Ranch in Parker, Texas. January 19, 2013, After his wedding ceremony and reception at The Surrey House and Gardens in McKinney, Texas, Robert Carter, the groom told Laura: "Excellent job!" January 18, 2013, In the midst of playing a birthday party for her son in Sherman, Texas, Cleo Inocian exclaimed to Laura: "You are SO good!" January 5, 2013, After his nephew's wedding at the beautiful Marty Leonard Community Chapel in Fort Worth, Mike House told Laura: "You were sensational!" The night before at the rehearsal dinner Mike had expressed to Laura how much he loved the song "Somewhere My Love," from "Dr. Zhivago." Laura told him that 'if he stayed after the wedding, she would play that for him.' She put the song in right after the postlude. Mike was delighted. December 17, 2012, Bride, Lydia Freeman, wrote to Laura: "You played beautifully and you looked gorgeous. I will definitely be recommending you to others." Laura had played her wedding on December 8, 2012 at the beautiful venue, The Milestone, in Denton, Texas. December 11, 2012, Julie Sherman, Board Certified Paralegal, wrote to Laura: "Music was wonderful. Great job!!!" Laura had played the December 6, 2012 Fort Worth Paralegal Association's Holiday Luncheon at the Fort Worth Club in downtown Fort Worth, Texas. December 4, 2012, Nicole Bourdeau contacted Laura about playing for her wedding at the Dallas Arboretum in April of 2013. Nicole expressed to Laura that "one of the co-ordinators, Sara Chapel, had recommeded Laura for her wedding." Nicole went on to tell Laura: "You come highly recommended!" November 16, 2012, After her wedding at the Marty Leonard Community Chapel in Fort Worth, bride, Shannon Johnson, expressed to Laura: "It was perfect!" September 29, 2012, "Terrific! Terrific! Terrific!" Kallie's, father,expressing his appreciation for Laura's music played at his daughter's wedding at Thistle Hill in Fort Worth, Texas. September 27, 2012, During the rehearsal for her daughter's wedding ceremony slated for September 29, 2012 at Thistle Hill in Fort Worth, Texas, Tonya Perkins spoke to Laura: "When we left your house after our consultation, we said: 'This is the best decision we have made.'" Originally, Tonya was going to use recorded music. September 17, 2012, Bride, Miriam Soto, wrote Laura thanking her for playing at her wedding on September the 8th at the beautiful Robert Carr Chapel located on the TCU campus in Fort Worth, Texas: "The music was wonderful and everyone enjoyed it." September 11, 2012, In a written communication, bride, Jessica Dobson, expressed to Laura: "Everyone kept commenting on how beautiful the ceremony and music was. You and Echo are so talented, and were such a special part of my wedding." Jessica's wedding ceremony was held on August 25th at Marty Leonard Community Chapel in Fort Worth, Texas. Laura's good friend, Echo Wilson, an accompanist, played for the singers. Laura played all the instrumental parts of this wonderful ceremony plus later the cocktail hour music at The Fort Worth Club, located in downtown Fort Worth, Texas. September 7, 2012, Karen Lear commented on Laura's facebook page, titled Sounds of Laura: Great Piano Music. "Your music was superb at the wedding." Karen was referring to her attendance at the wedding of Jessica Dobson on August 25th at the lovely Marty Leonard Community Chapel located in Fort Worth, Texas. September 1, 2012, Dan, a family member at the Theme Family Reunion in Sunset, Texas expressed to Laura's husband T.J. "I can't get this kind of music any place else. I would buy the C.D." Laura played 78 pieces of music which spanned 10 decades. July 12, 2012, Melanie Franz wrote to Laura thanking her for time spent in a consultation for her daughter's wedding scheduled for October 5, 2012. Melanie also expressed the following: "Your expertise in mixing and matching songs was amazing. Your suggestions for music will definitely compliment her Vintage/Classic theme she is planning." July 7, 2012, Suellen Wiley, Co-ordinator for weddings at Mediterranean Villa in Arlington,Texas, after working with Laura for Diamond's wedding said: "You were fantastic." May 3, 2012, In a written communication to Laura, Kim Fawks, mother of the bride, for the beautiful wedding on April 29th at the Marty Leonard Community Chapel in Fort Worth, Texas, expressed to Laura: "It was a pleasure meeting and working with such a kind and talented pianist. Thank you again. Everything was just perfect!!!" May 3, 2012, Following the Opening at The Courtyards of Fort Worth, Lizlie, responded to Laura's music with "it was beautiful. Just the right ambiance." April 14, 2012, After Michael and Lauren's wedding at Marty Leonard Community Chapel, located in Fort Worth, Texas, staff member, Charles, spoke to Laura saying: "Another beautiful performance." April 13, 2012, During a rehearsal for her son's wedding at Marty Leonard Community Chapel, in Fort Worth, Texas, Mrs Cruz told Laura: "I know music and you are the best I have ever heard." April 13, 2012, At the beginning of rehearsal for his daughter's wedding at Marty Leonard Community Chapel, Fort Worth, Texas, Mr. Bird said to Laura: "Lauren told me how wonderful you are." April 13, 2012, Marty Leonard Chapel Coordinator, Katherine Lewis, in a conversation with Laura expressed: "I tell people you are a fabulous pianist. And...that you will play what they want." Katherine also told Laura: "I am so glad you come to the rehearsals." March 10, 2012, "It was wonderful!" Bride, Lauren Wohl, was expressing her reaction to Laura's playing her wedding ceremony in Leonard, Texas at the beautiful First United Methodist Church built in 1906. December 9, 2011, "I will have you back. Everyone was saying what a good piano player you are." Janie Becker hosting her private Christmas Party in Dallas, Texas. November 21, 2011, In a written communication after her daughter's wedding reception, Rebecca Cagle wrote to Laura saying: "You really looked great in your dress and hair accents! You went the extra mile to fit into the decor and it has been great working with you and T.J." "The ambiance you all created really made the atmosphere enjoyable for us all." This reception was held at St. Francis Anglican Church in Dallas, Texas. November 19, 2011, Laura played a Wedding Reception in Dallas at the St. Francis Anglican Church. (The bride,) Anne Cagle's brother helped to make introductions during the night. He expressed to Laura: "You were Wonderful; Awesome." Rebecca Cagle, Ann's Mother, told Laura: "Lovely, Lovely, Lovely!" Music chosen for this wonderful reception consisted of Classical, Walt Disney Hits, and other Hits from both Movies and Broadway. Some Classic Rock was also introduced, namely...the Beatles and Elvis. November 5, 2011, During a Wedding Cocktail Hour that Laura was playing, the co-ordinator, Judy, spoke to Laura saying: "I love your music. And, oh! when you played Claire de Lune!" Laura mixed Classical with Popular Standards and Broadway Tunes for this occasion. October 26, 2011, Writing to Laura several months after her wedding, Bride, Jennifer Gallager, told Laura that "the wedding was perfect and I can't tell you how many compliments I got on your playing!! I definitely will recommend you for my friends and will keep you in mind should I ever need a piano player again." Jennifer's wedding was held at Belltower Chapel and Garden on July 30, 2011. September 17, 2011, Bride, Sharon O'Hara, after her wedding in Flower Mound, Texas told Laura and her Roady, T.J: "You do a great job!" August 19, 2011, "Your music was so pretty!" Martha Gayman after her son's wedding at the Marty Leonard Community Chapel in Fort Worth, Texas. August 7, 2011, Kimberly Lyles, Hostess for the elegant Baby Shower, held at her private residence in Lantana, Texas told Laura that "everyone enjoyed her music; fabulous." August 6, 2011, Tricia Wood wrote to Laura: "You were the perfect addition to our event." Laura had played the Adult Birthday Party for Tricia's mother at Paradise Cove at Lake Grapevine, Southlake, Texas, on July 31, 2011. July 31, 2011, Laura played a private Birthday Party at Paradise Cove at Lake Grapevine, Southlake, Texas. For her mother's 85th party, Tricia Wood hired Sounds of Laura to provide 2 hours of music for both the cocktail time and dinner. Tricia commented to Laura after the afternoon party was over: "It exceeded my expectations." "It was perfect." "My mother just loved the music; exactly what she wanted." Laura played Oldies, Classical, Broadway/Movie Hits, and World Music consisting of both Spanish and Italian. July 29, 2011, "Amazing!" was bride, Haylee Ward's response to Laura's playing her wedding at the Legacy Church of Christ in North Richland, Hills. July 2, 2011, "Amazing!," was the response to Laura's music from Sean Hinz, the groom, after his wedding at Marty Leonard Community Chapel, Fort Worth, Texas. June 18, 2011, "You did a great job, Laura." Amanda Taylor, event coordinator, for a wedding at Marty Leonard Community Chapel, Fort Worth, Texas. May 22, 2011, Groom, Jason Bryant, wrote to Laura thanking her for the beautiful ceremony music at their wedding held at Marty Leonard Community Chapel in Fort Worth on May 21, 2011: "We heard lots of compliments about you. Everything was perfect!" May 21, 2011, Immediately after Jason and Rachel's wedding at Marty Leonard Community Chapel located in Fort Worth, Texas, their photographer, Sharon Ellman told Laura: "That was wonderful!"... and "May I have one of your cards?" April 23, 2011, One of the presiding pastors, Rev.Dr. Wayne Hanks Sr., for this beautiful Christian/Indian wedding ceremony at the Intercontinental Hotel in Addison, Texas shook hands with Laura and complimented her music with "lovely piano playing today!" Genres played were: Classical, Religious, and selected pieces from Broadway/Movie Hits. 500 people were in attendance. April 16, 2011, Bride, Mikayla Meyers, wrote to Laura expressing the following about her music for her wedding on March 26, 2011 at the Little Chapel in The Woods, Denton, Texas: "It all sounded so perfect, and we loved it!" April 12, 2011, Following a program of Broadway and Movie Hits from many decades, a 20 year volunteer for the JPS Health Network, Paul Matthews, exclaimed to Laura: "YOU WERE FANTASTIC!" This volunteer appreciation celebration for the JPS volunteers was held in Oak Hall at the Fort Worth Botanical Gardens, Fort Worth, Texas. April 9, 2011, Following a wedding ceremony at City Club, Fort Worth, Texas, Steven, the officiant for this wonderful wedding, told Laura: "It was seamless!" April 5, 2011, Vocalist, Dina Barlow, complimented Laura after the beautiful wedding at the First Baptist Church in Wylie, Texas with "you were awesome!" April 5, 2011, Speaking to Laura after the wedding ceremony in Wylie, Texas at the First Baptist Church, Jerry, Co-ordinator for the wedding, said: "the music was fantastic!" December 15, 2010, Dana Defiel, Activities Director, for the Watercrest at Mansfield, complimented Laura's music at their Christmas Dinner: "I could sit and listen to you play all day long." Referring to her Senior Residents, Dana also expressed that "they were all talking about you as they were leaving. They were just thrilled." Watercrest at Mansfield is a beautiful upscale community for seniors. November 1, 2010, Later, after her wedding on October 16, 2010 at Bell Tower Chapel and Garden, located in Fort Worth, Texas, bride, Bonnie Hughes-Lehnertz, wrote to Laura: "I received numerous compliments about your music and appearance. You were the ONLY vendor that we had that provided what we agreed for (and more.) I really appreciate everything you did for us and for playing an additional 30 minutes. Any couple would be blessed to have you play at their wedding." October 26, 2010, Bride, Trang Truong wrote to Laura saying: "You have been so wonderful to work with. Thank you!" Laura is helping Trang plan and select music for her wedding scheduled for July 18, 2011, at the Marty Leonard Community Chapel, Fort Worth, Texas. October 24, 2010, At her mother and father's 50th Wedding Anniversary Party, Alice Butler expressed her pleasure about Laura's music: "It was wonderful. Everyone was asking..where did you find her? I will certainly recommend you." Alice's mother also told Laura that "the music just made the party." This wonderful party was held at the Gardens Restaurant,located in the Fort Worth Botanical Gardens. October 16, 2010, Wedding Co-ordinator, Laurie, speaking to Laura following a wedding at Bell Tower Chapel and Garden, Fort Worth, Texas, "you were great and so nice to work with. That is a real bonus!" October 15, 2010, After a rehearsal for a wedding at the beautiful Marty Leonard Community Chapel in Fort Worth, Texas, Staff member, Charles, complimented Laura's music service with, "We all know that the music will go well when you are here." August 6, 2010, Following her twin's birthday party at the Embassy Suites in Irving, Texas, Denise Delcour expressed to Laura: "You were a blessing to us. Can I have some of your cards so that I can hand them out?" This wonderful musical program consisted of: Walt Disney's Hits, Children's Songs & Nursery Rhymes, Christian Music, & Broadway/Movie Hits such as "My Favorite Things," "Over the Rainbow," The "Feather Theme" from "Forrest Gump," and etc. July 24, 2010, Bride, Suzanne Williams, after her reception at The Lodge of Granbury, located in Granbury, Texas, complimented Laura with "you added class to our event." Laura entertained throughout the cocktail hour and dinner with her broad repertoire of music appropriate for wedding receptions. July 17, 2010, After her daughter's wedding ceremony at Marty Leonard Community Chapel, Renee Snow talked to Laura about her music saying "you were wonderful." July 17, 2010, Following his daughter, Tiffany's wedding ceremony at Marty Leonard Community Chapel, Randy Briones complimented Laura's music with "I enjoyed that so much!" July 10, 2010, Cerissa Powdrill, wedding planner for a recent wedding ceremony Laura played in De Soto, Texas conveyed to Laura: "You do excellent work. You were a blessing to this wedding." July 10, 2010, District Elder, Howard Colbert Sr., after the wedding that they both participated in at Windsor Park Baptist Church, De Soto, Texas, spoke to Laura saying: "You did an excellent job!" "Excellent!" July 10, 2010, Mother of the bride, Kay Butler, after her daughter's wedding ceremony expressed to Laura: "You look gorgeous!" Laura always tries to match her attire to the bride's chosen colors. She also told Laura: "Kay has been talking about you, saying you have just got to hear her play." Kay was encouraging family to arrive early so they could hear Laura's special prelude music consisting of many Contemporary Pop songs and Religious pieces of music. June 3, 2010, In a written communication to Laura, Kathy Miller, mother of the bride expressed: "I couldn't have been more delighted with your work and you are , such a fun person." Her daughter, Amanda's wedding was held on May 29, 2010 at Marty Leonard Community Chapel, Fort Worth, Texas. Laura has played many weddings at this beautiful Chapel. May 29, 2010, After his son, C.J. 's, wedding at Marty Leonard Community Chapel in Fort Worth, Texas, the father of the groom told Laura: "You did an outstanding job." April 24, 2010, Taylor, Assistant to Lisa Dean, Wedding Consultant (Divine Wedding Details), responding to Laura's music for a wedding ceremony held at The Texas Discovery Gardens at Fair Park, Dallas Texas: "Awesome!" April 24, 2010, Julie Bufford, mother of the bride, expressed to Laura after her daughter's wedding ceremony at the Texas Discovery Gardens at Fair Park, Dallas, Texas: "Lovely!" April 20, 2010, Before her performance for the Woman's Club of De Cordova Bend Estates, one of their members, Laura, introduced herself saying "I have heard how wonderful you are. I know people who have heard you play." This musical program of Broadway/Film Hits and World Music was held at the De Cordova Bend Estates Country Club, DeCordova, Texas. March 3, 2010, Bride, Tami Yanez, responded with a question Laura had about adding another song to her prelude music for her wedding with: "I absolutely trust your judgement. Lance and I left your house very excited and extremely pleased with all the musical selections made. Thank you so much for being so patient and accomodating with us." Tami wanted to include in her prelude some Spanish songs for her side of the family, and Laura honored her wishes by helping theme select several traditional songs. This wonderful ceremony is scheduled for August 21, 2010 at Marty Leonard Community Chapel, Fort Worth, Texas. February 11, 2010, Responses from Randy Underhill, Assistant Manager, Gateways at Centreport, Fort Worth, Texas, after Laura's Locators Lunch Performance: "Simply flawless." In reference to Laura's repertoire of songs, Randy responded with "very recognizable; I recognized every song. If I have a party, I want you to play. You are great!" "I am going to pass your cards out to everyone I know." January 30, 2010, Customer, Will, at Saxbys Coffee House, Murphy, Texas told Laura: "We will come back to hear you if you play here again." "You have a great thing going." January 26, 2010, In a communication following a consultation with Laura for her daughter's wedding in May, Kathy Miller expressed: "We were very impressed with your talents and appreciated the time you spent with us, helping us make the song selections." December 14, 2009, Responding to Laura's Christmas music for a Holiday Open House at Concordia University Texas, Mary May, Director of the Fort Worth Center expressed that "it was great!" "We will recommend you." November 14, 2009, Both Bride and Groom, Tina and Heron, responded after their wedding ceremony held at The Wildwood Inn, Denton, Texas with: "It was great!" Tina added: "The rate/tempo on Bless The Broken Road was just right!" Pastor Ray, after this fall, outdoor wedding also told Laura: "The timing was perfect." October 31, 2009, Paula Jackson, Mother of the Bride, exclaimed to Laura: "I heard lots of positive comments from the guests." "Thank you for a marvelous job!" Laura played her daughter's Gothic Wedding and Reception at the wonderfully restored 100 year old historical church, Parson's Table, in Aledo, Texas. October 31, 2009, Susan Pearson, owner of Parson's Table in Aledo, Texas, expressed to Laura after the Goth Wedding and Reception on Halloween: "I will be glad to recommend you." "You did an excellent job!" Laura played her vast repertoire of Gothic music including Classical and Contemporary. Russian, Hungarian, German, Polish, and other World Music was part of the mix of great music played on Strings, Organ, and Electric Piano. October 31, 2009, Stephen Burton, Groom, appreciated Laura's music at his Gothic Wedding held at Parson's Table in Aledo, Texas with several comments: "Our guests were saying: 'Where did you get the music?'" "It was just what we had in mind." "It was great." October 24, 2009, Mr. Puetz, father of the bride, Honie, had several compliments for Laura at his daughter's wedding held at Marty Leonard Community Chapel, Fort Worth: "Beautiful Music!" "Josh and Honie will certainly recommend you." October 24, 2009, At his wedding at the Marty Leonard Community Chapel, Fort Worth, Texas, Josh, the Groom, told Laura: "I expected it to be good, but it was even better than I expected. It was perfect." October 21, 2009, In an email to Laura, bride-to-be Valerie, writes to inquire about Laura's availability for her wedding and states: "We heard you are one of the best around." October 10, 2009, Bride, Neely McCarthy, in a consultation with Laura about her music for her wedding in November: "You are so good. All of your reviews were good." October 3, 2009, Artist, Eva Snapka, "Your music is so beautiful!" "I enjoy your music so much." Laura and Eva were both participating in the Fall Arts Google for Near Southside, Fort Worth. The beautifully restored Bed and Breakfast, Hattie May Inn, was their venue. October 3, 2009, Linda McHale, owner of the historic Bed and Breakfast, Hattie May Inn, at the close of the Fall Arts Google in Fort Worth commented to Laura: "Thank you for all your hard work." Laura had played from 3:00 p.m till 8:00 p.m.
August 27, 2009, Jacquelyn, after her wedding on August 9, 2009 reviewed Laura's wedding services on www.weddingwire.com with positive comments: "She is very professional and makes you feel that your wedding is a top priority." August 24, 2009, Tina Blisset writes to Laura: "I appreciate all the work your investing in making our wedding day special." Tina's wedding in Denton is scheduled for November 14, 2009. In a consultation through email about her music, Tina wrote: "I trust your judgement." August 15, 2009, Ken, an Officiant with Love Notes, after a wedding ceremony at The Alexander Mansion in Garland, Texas, told Laura, "you did a great job!" August 15, 2009, Bride, Jesica, in a personal Thank You note to Laura expressed: "We appreciate your helpfulness with all of our questions." Jesica's wedding was held at the beautiful Alexander Mansion in Garland, Texas. August 9, 2009, Officiant, Greg Scheffler, after the Wedding Ceremony at the Fort Worth Botanical Gardens complimented Laura's music: "I really liked your selections." July 13, 2009, In a review on www.weddingwire.com, Colleen Nolly, mother of the bride, wrote this about Laura: "The quality of Laura's service was excellent; she exceeded my expectations. I would recommend her to anyone. Not only is she a professional, but she is also a very warm and caring person. You can tell she enjoys her music and that she understands the importance of the events in your life." Laura played Colleen's daughter's graduation reception and wedding ceremony. June 27, 2009, In a free consultation about her daughter's Gothic Wedding scheduled for October 31, 2009 in Aledo, Texas, Paula Jackson stated to Laura: "You are very versatile; you have a good ear for knowing which sound the music goes best on." June 13, 2009, After her daughter's Wedding Ceremony at the Botanical Gardens of Fort Worth, Colleen Nolly expressed to Laura: "you always make it wonderful!" Laura had played Monique Nolly's Graduation Celebration-Dinner and Wedding Ceremony. June 7, 2009, During the Rehearsal for his daughter's wedding on June 13th, Melvin Nolly in conversation with Laura's husband, manager & roady, T.J., commented: "She really is good." April 18, 2009, Chris Hayes, bridegroom, speaking to Laura before his wedding ceremony at the Stonebriar Country Club, Frisco, Texas: "It meant allot to Elizabeth for you to learn that song." Laura, at request of the bride, purchased "Liz On Top of The World," from "The Pride and The Prejudice," & arranged it specifically for the Bride's entrance music. Katie Boesdorfer, Maid of Honor & sister of the bride reacted to Laura's playing this song with "It was beautiful!" April 18, 2009, Scott Zimmerer, Officiant for wedding ceremony at Stonebriar Country Club, Frisco, Texas speaking to Laura after the ceremony "Great music!" April 11, 2009, Autumn Rickman reviewed Sounds of Laura on www.weddingwire.com with the positive comment: "Laura's music made the ceremony!!" Autumn's wedding was held on March 21, 2009 at the First United Methodist Church of Keller, Keller, Texas. April 3, 2009, Monique Nolly, after listening to Laura's music samples on a hidden link, responded with "I played your music and I loved it. When I heard your music, I thought...that's it!" Laura is scheduled to play Monique's College Graduation Dinner at the Radisson Hotel Fort Worth South on May 17, 2009 and her wedding ceremony at the Botanical Gardens of Fort Worth on June 13, 2009. March 28, 2009, In a planning session to select music for her wedding scheduled for May 30, 2009, Amanda Slovak expressed to Laura: "Everything sounds so good. I feel like just letting you pick everything." March 21, 2009, "You were fantastic!" Dennis, sound technician for First United Methodist Church of Keller. Laura played an elegant wedding ceremony in this beautiful church in Keller, Texas. February 14, 2009, "This was the first time I've done something like this. Everyone enjoyed it. We had six new tables." Mack, the owner of Papparottis Wine Room, Fort Worth, Texas. Laura provided a special evening of songs about love...after all it was Valentines. January 10, 2009, Before her wedding at the Piazza in the Village, Colleyville, Texas, Robin Valdez, the Bride, expressed to Laura: "I am so glad we found you." Referring to Laura's music, after the day of rehearsal in the Chapel, Robin told Laura: "It was beautiful in there." Leslie, one of the Co-ordinators for the Piazza in the Village, said to Laura after the Ceremony, "Good Job!" December 31, 2008, Laura played a wedding ceremony and reception at the beautiful Stonebridge Ranch Country Club in McKinney, Texas. Victor, Wedding Captain for the Club, expressed his liking for the song Only Time. "I really liked that song by Enya." "You do a real good job." Josh Weaver, Brother of the Groom, refers to Laura's performance as: "It was fantastic!" Stacy, the Bride, "it was really lovely." Jonathan Weaver, the Groom, talking to Laura about her website, expressed how helpful having the music samples and the photo gallery were to their making a decision to book Laura. Jonathan said: "we were from out of town; we had never heard or met you before. With the photo gallery we could see what you looked like." December 30, 2008, After her wedding ceremony at Stonegate Mansion in Fort Worth, Cayla, the Bride, tells Laura: "it was beautiful." December 29, 2008, During a rehearsal for her wedding on the 30th of December, Bride, Cayla Hall, responds to Laura's making a last minute change at Cayla's request with: "thank you for being flexible." October 4, 2008, Many of the wedding party for the outdoor Wedding Ceremony at the Botanical Gardens of Fort Worth praised Laura's playing. Derek, the Groom: "The music was beautiful." Derek's family and friends reacted with: "Wonderful!" "You did a lovely job. Thank You." Rev. Smith's wife expressed to Laura how "pretty" the music was. Laura played a mix of Classical and Contemporary. July 26, 2008, Mother of the Bride, Karri Stevens, speaking to Laura after the wedding at Prince Victorian Estate, Fort Worth, "it was wonderful!" June 15, 2008, After meeting with Laura to plan her wedding ceremony and reception for August in Flower Mound, Texas, Kimbra Williams wrote to Laura: "I am so excited about all of the songs and you play beautifully!" August 15, 2000, Ken, an officiant with Love Notes, told Laura after a wedding at The Alexander Mansion in Garland, Texas, "you did a great job!" At a Wedding Vow Renewal Ceremony held at the beautiful, historic home, The Ball-Eddleman-McFarland House, Fort Worth Texas, Armando Robles told Laura that her music was "phenomenal." Armando was hair and makeup stylist for this wonderful occasion. May 3, 2008,Wedding Ceremony at The Reagin House, Forney, Texas. Margie Paul, Bride's mother, "you were a blessing to us." Gigi Swain, President of The Reagin House, speaking to Margie about Laura: "thank you for sending her to us." April 29, 2008, Bride, Wendy Stump, wrote to Laura after her wedding ceremony in April, 2008 at the Marty Leonard Community Chapel, Fort Worth, and expressed the following: "I know this project took hours and hours of your time. Thank you for all of your hard work and preparation. You did a tremendous job and we are still hearing praise about the wedding music!" April 12, 2008, Wedding Ceremony and Reception, Lake Granbury, Granbury, Texas. Bride, Sunny Johnson, "it was wonderful!" In addition, Groom, Cord Johnson, also referring to Laura's music responds with: "It set the mood; it was perfect; made the day." April 5, 2008, Wedding Ceremony for Wendy Wilson and Craig Stump held at Marty Leonard Community Chapel, Fort Worth. "The music was wonderful." Craig Stump, Groom. "You did a fabulous job!" Maid of Honor for Wendy. March 25, 2008, Annette Caro discussing with Laura her musical needs for wedding in June, "you have a good program." March 9, 2008, Raymond Yuen, during a consultation for his wedding on March 29, commented to Laura: "I like your professionalism. I wanted someone with experience and someone who has been doing this for a long time." March, 2008. Kiley Fugate, reminiscing about her wedding that Laura played on February 29, 2008, "They really appreciated you. You were awesome!" February 29, 2008. Wedding Ceremony, Cappella Court, Richardson, Texas. Jason Fugate, the groom, "You were great today. Awesome!" February 14, 2008. Rufino Ristorante, Desoto, Texas. Owner, Brian Ball, "Beautifully done!" January 16, 2008. Jean Trimble 1st Vice President of the Suburban Woman's Club meeting at Portofinos Italian Restaurant, Arlington, Texas. "You were superb!" In an e-mail to Laura from Jean Trimble: "Many of the ladies told me how much fun it was to play Name that Song-Movie-Decade. Thank you for a lovely musical program." December 29, 2007, Wedding Ceremony, pre-ceremony music and reception music, Gaylord Texan, Grapevine, Texas. Tom Urice, the Groom: "We enjoyed looking at your repertoire lists so much. It was fabulous! Your music has made our evening. You will have to play for our 25th anniversary." Mike, attendee, "I liked your selections. ".....referring to how Laura customizes the different sounds for each piece played. Sister of the Bride, Meredith Urice, "Your music was just perfect for this wedding." December 22, 2007, guest, Laura, attending Engagement Party, Lake Arlington, Bay Club, Arlington, Texas. .referring to Sounds of Laura: "It was gorgeous!" "Thank you so much for helping to make this event a success," Mary Ann Slater. Lone Star Business and Professional Women, Annual Christmas Party, held December 6, 2007 at the Fort Worth Women's Club. November 16, 2007 The Coffee Urn, Richard, a regular at The Coffee Urn, responding to Laura's music consisting of Classical, Classic Country, Oldies, Ragtime, and Contemporary sounds of today. "It was Great!" November 8, 2007 On Broadway Ristorante "You have the passion!" Tom Stoy. November 7, 2007 Tammy, Activity Director for Trail Lake Nursing and Rehabilation, Fort Worth, Texas, "It was wonderful. You were a big success." Attendee, Jan Moore, "Great Playing!" Laura was guest performer for lunch. November 4, 2007 An e-mail from Betty and Glenn Wells to Laura, "Thank you for the Wonderful Piano Music last Sunday in the Mansion in Flower Mound." The event was the Fall Cocktail Party for Ebby Halliday Realtors held in Flower Mound, Texas, at the 'The Landing'. October 19, 2007 The Coffee Urn, Richard, a regular at The Coffee Urn, responding to Laura's arrangement of the Moonlight Sonata by Beethoven: "Beautiful!" October 11, 2007 On Broadway Ristorante,"It was wonderful hearing you play." Patricia Chin, 1st time listener to Laura's music. September 29, 2007 Wedding ceremony, The Women's Club of Fort Worth. Elizabeth Herrera, the bride, referring to Laura's music: "they liked your playing". August 9, 2007 On Broadway Ristorante, "You are very talented." "Liked your assortment of music." Vicky. July 12, 2007 On Broadway Ristorante, "You were terrific," Dr. Julian Haber. "I like the music your chose." Jan Moore, faithful fan of Laura's music. Ruth, regular customer at On Broadway Ristorante, responding to Laura's relaxing music, "lovely." July 7, 2007 Wedding ceremony, Holy Name of Jesus Catholic Church, 2635 Burchill Road, Fort Worth. Fatima Villanueva, Bride, "it was wonderful." Jessie, Coordinator for wedding, "beautiful!" Mrs. Sanchez, mother of the Bride, "it was very nice." June 23, 2007 Wedding reception, Ruth Millican Recreation Center, Euless, Texas. John Parker, Groom, "it was super--as always." Kay Parker, Bride, "it was beautiful." June 10, 2007 Wedding at Marty Leonard Community Chapel, Fort Worth. "It was perfect!" Brandy, Maid of Honor. Sherri Read, Bride, thanking Laura prior to ceremony, "thank you for being so helpful at the last minute. I know all the guests will enjoy your music." May 10, 2007 Glenda Buckles thanking Laura for an evening spent at On Broadway Ristorante, "I enjoyed your beautiful music very much. The evening was a real delight!" May 10, 2007 On Broadway Ristorante, 6306, Hulen Bend Blvd., Fort Worth. John Parker, faithful fan of Laura's music. "I never have heard you play anything I didn't like." April 20, 2007 Dinnner at the Marriot Hotel, DFW South, 4015 Centre Port Blvd., Fort Worth. "Very Nice!" "You are good!" Nancy Ligon, Legacy Marketing Group. April 14, 2007, Wedding Reception, Lewisville, Texas. "You did a wonderful job." Wedding coordinator, Ottie Bowens. Michele Draper, mother of the bride..."Thanks again for the great job you did on the wedding Saturday. Shelley and Brian were very happy." March 1, 2007, "You are one of the better piano players I have ever heard. You are so clean." Mike Collins, aspiring musician. January 27, 2007, "I enjoyed your music so much......all of the old songs. Brought back so many memories. I think there really is a place for this kind of music." Dorothy Wise, Reception/Luncheon at Ridglea Country Club. January 27, 2007, "You were wonderful!" Sister of the Bride, Reception/Luncheon, Ridglea Country Club, Fort Worth. January 19, 2007, The Coffee Urn, 5018 Trail Lake Drive, Fort Worth. Franklin Smith's reaction to Laura's playing Jesu, Joy of Man's Desiring. "You have the gift." December 8, 2006, The Coffee Urn. "Thank you for inviting us to your piano concert. We had so much fun! We enjoyed hearing you play all those pretty Christmas pieces." Donna Witt, visiting from Cleburne, Texas. November 8, 2006, Elegant, private breakfast at the Best Western Inn and Suites, 30 & Beach Street, Fort Worth. "That was wonderful!" Sue Broker, Sales & Catering for Best Western. November 3, 2006, The Coffee Urn, Fort Worth. A driver for Mits walked in the door humming The Piano Man. Laura recognized the song and replied: "I know that one; if you stay a few minutes, I will play it for you." "Beautiful, Beautiful!" responded the driver for Mits. October 8, 2006, Tastebuds. Customer, Rosetta, describing Laura's music and sound. "It's so mellow. We really enjoyed this." October 7, 2006, The Coffee Urn. "I really enjoyed that....especially Dark Eyes." — Richard, regular patron. September 23, 2006, Ladies Appreciation Night, Knights of Columbus. Dinner at St Elizabeth Ann Seton Catholic Church. Keller, Texas. "You did a wonderful job." Dannie Needham, emcee for the event. September 15, 2006, The Coffee Urn "Your music is so, so, beautiful." — Valerie Warner. "Excellent!" Judy King's reaction to Laura's playing Memory from the Broadway musical, Cats. July 15, 2006, Wedding Reception and Dinner, Fort Worth Presbyterian Church. "Your music was absolutely marvelous. Everyone commented on how nice it was to have the background music. You definitely made the dinner!" Tom and Sandy Stoy, Bride and Groom. June, 2006, "We enjoyed your playing." Mike and Ginger Smith, Prima Pasta Italian Restaurant. June, 2006, "We come in here once a week, and we have fun when you are playing." Nancy and George, patrons of Prima Pasta Italian Restaurant, Fort Worth. "You were fabulous!" Sarah Ravech, May 14, 2006, Mother's Day Brunch, Central Market, Fort Worth. "I really enjoy your music." Judy King, frequent visitor to Artistic Blends. "They said it was beautiful!" Angie Parrish, Activities Director for Town Village Ridgmar, April 25, 2006. Musical Tea with "Movie Melodies" as the theme. "You must have known your audience. We are spellbound." Jack Shannon, Honorary Member of North Fort Worth Woman's Club, May 4, 2006 — during a break between musical selections. "It was unique!" Jack Shannon, North Worth Woman's Club, May 4, 2006. "You are a classical pianist and very accomplished." Frank Sanchez, Artistic Blends, February 8, 2006. "You did a wonderful job." Joe Hagin, Activity Director for Arlington Heights Health and Rehabilitation, Fort Worth, December 15, 2005 Christmas party. "Thank you Laura for your lovely music." Kathleen York, Photographer for the Ms Texas Senior America pageant. September 16, 2005, Dallas, Texas. "You were great. You are very talented." "Sandy and I really enjoyed your performance tonight. It was so delightful & romantic for the two of us. Your creativity is outstanding." Tom Stoy, Artistic Blends August 17, 2005. Nina Movahedi, Administrator for the Courtyards at Fort Worth. Elegant event, June 23, 2005 the Courtyards at Fort Worth. "Your music was pretty. Everyone enjoyed having you entertain them." Carole Brock, Activity Director for the Courtyards at Fort Worth. Social at Artistic Blends May 20, 2005. Tre Daniel, Professional photographer and manager of Camp Bowie Color Lab Inc., Fort Worth. May 18, 2005, Artistic Blends. "I knew you would be great before I wrote the thank you note. Everyone loved your music." Kay Pirtle, Editor, Wedgewood Shopping News Event for Society for Professional Journalists, Ridglea Country Club, Fort Worth, Texas, April 9, 2005. "I am enjoying this so much. Lovely." Marian Haber, Professor of Journalism, TWU, Artistic Blends, March 31, 2005. "You are wonderful, fantastic. You have passion for your music." "I think we've got another Elton John."